For all those who love furry friends and not only, a very nice exhibition awaits you! 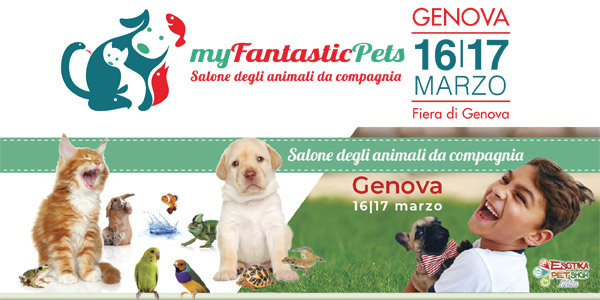 On 16/17 March 2019, at the Genoa Fair opens the "My Fantastic Pets"! 13,000 square meters of exhibition concerning the whole world of pets: in the exhibition part are represented all categories of pets and company animals (dogs, cats, fish, reptiles, small rodents, insects, birds, poultry, small animals and farm animals) as well as all products and services for the animals themselves. -Do not leave your pet at home, at Cairoli hotel it can accompany you free of charge additional cleaning costs.